Thinking About Global Sustainable Development? An interdisciplinary approach from the arts, humanities, social and natural sciences. A bridge between the theoretical discussions of the economic, environmental, and social principles of GSD, and the practical policies and solutions that could shape the future. 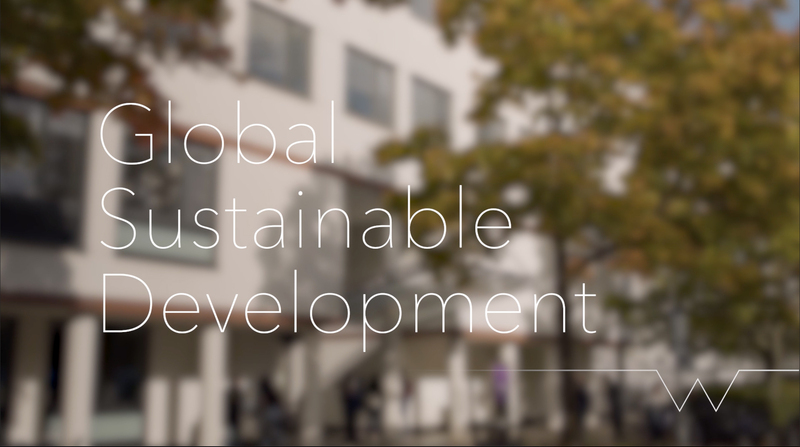 The chance to engage with a degree programme structured around the UN Sustainable Development Goals, tackling 'Big Questions' such as water scarcity, climate change, human rights, wealth inequality, bodies and health, 'green growth', and sustainable finance. An integrated study abroad placement (Term 2 & 3), Second Year with Monash University in either Melbourne, Australia, or Kuala Lumpur, Malaysia. Or, continue studying at Warwick and complete a work placement. An intercalated study abroad or work experience option is also available. Careers and skills support throughout and after your degree, as well as skill enhancing Certificates in Coaching Practice, Digital Literacy, Professional Communication, and Sustainability. Opportunity to be part of a thriving student community, diverse and international by nature, with over 250 student societies, a dedicated network of welfare support services, and fantastic campus facilities. You can view the full list of modules (a unit/course of study) offered for 2018/19 here. Modules offered each year can and do change due to staff availability. We therefore recommend you explore the current list as a guideline for what you could study. Single Honours students will take a full course load of GSD modules whilst Joint Honours will take half of their modules with their partner department. See Joint Honours overviews. We want to prepare you to be effective and successful contributors in the world of work, so we have designed our assessment methods accordingly. Traditional assessment methods are useful tools for testing your knowledge, and you will complete a number of essays and formal examinations throughout your degree. However, we also believe that you should be assessed based on skills adaptable for the workplace, and so you will be completing research papers, policy briefings, posters, portfolios, reports, and presentations. Upon completing your degree, you will benefit enormously from this interdisciplinary skill set and in depth knowledge of sustainability as you pursue an array of career pathways. BASc Global Sustainable Development, available as Single and Joint Honours. Includes written essays and research papers, presentations, data analysis, group research projects, and examinations. Dissertation is mandatory for all GSD students. Available as an integrated programme with Monash University (Melbourne and Malaysia). Or as an Intercalated year-long study abroad programme. "I now have peers from all over the world that share the same passion as I do "
"I feel as GSD students that we are connected to the growing dialogue of issues concerning sustainable development across all of the SDGs and also across multiple disciplines"
GSD forces you to think critically, to re-think and re-design the present continously"